Philosophy of Science Portal: Do you believe this about nuclear power? Myth #1: Americans get most of their yearly radiation dose from nuclear power plants. Truth: We are surrounded by naturally occurring radiation. 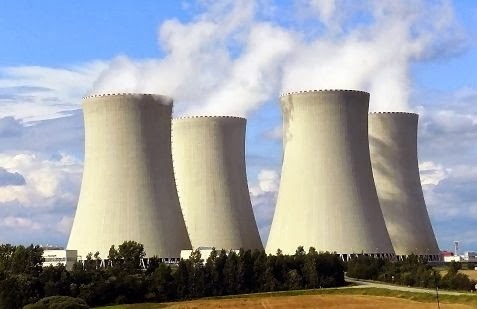 Only 0.005% of the average American's yearly radiation dose comes from nuclear power; 100 times less than we get from coal , 200 times less than a cross-country flight, and about the same as eating 1 banana per year . Myth #4: Nuclear energy is not safe. Myth #5: There is no solution for huge amounts of nuclear waste being generated. Truth: All of the used nuclear fuel generated in every nuclear plant in the past 50 years would fill a football field to a depth of less than 10 yards, and 96 % of this "waste" can be recycled . Used fuel is currently being safely stored. The U.S. National Academy of Sciences and the equivalent scientific advisory panels in every major country support geological disposal of such wastes as the preferred safe method for their ultimate disposal . Myth #6: Most Americans don't support nuclear power. Truth: In a survey condusted in September 2013, it was found that 82% of Americans feel nuclear energy will play an important role in meeting the country’s future electricity needs, and half believe this importance will increase with time. In addition, 84% of respondents favor renewing operating licenses for nuclear power plants that continue to meet federal safety standards, and 77% believe that nuclear power plants operating in the United States are safe and secure, a four percentage point increase from last February . Myth #7: An American "Chernobyl" would kill thousands of people. Myth #8: Nuclear waste cannot be safely transported. Myth #9: Used nuclear fuel is deadly for 10,000 years. Myth #10: Nuclear energy can't reduce our dependence on foreign oil.